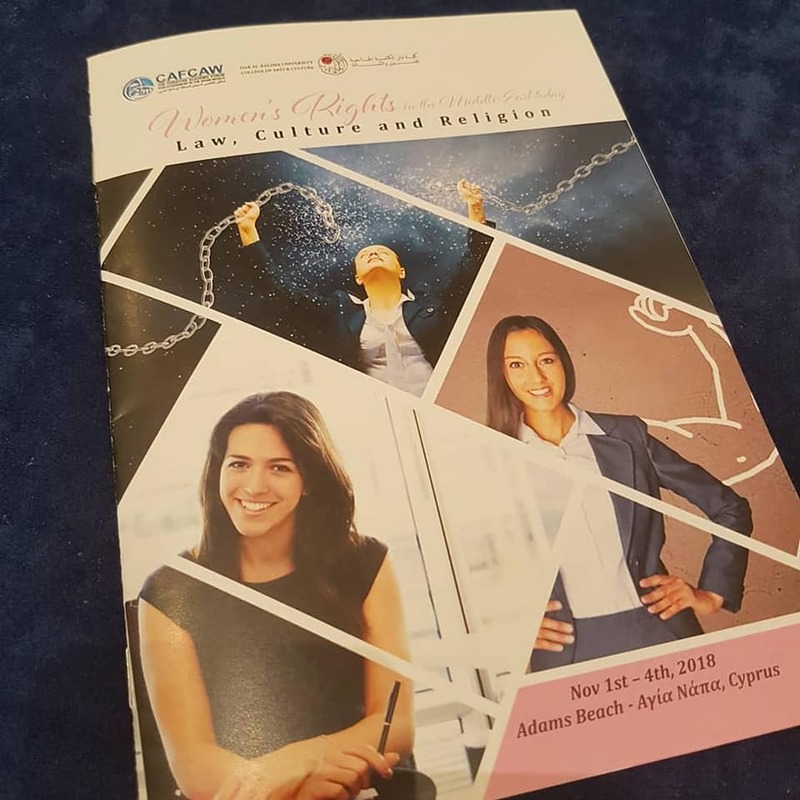 I had the honor of participating in this wonderful gathering of scholars, activists and artists working on gender and women’s rights issues in Southwestern Asia and North Africa. 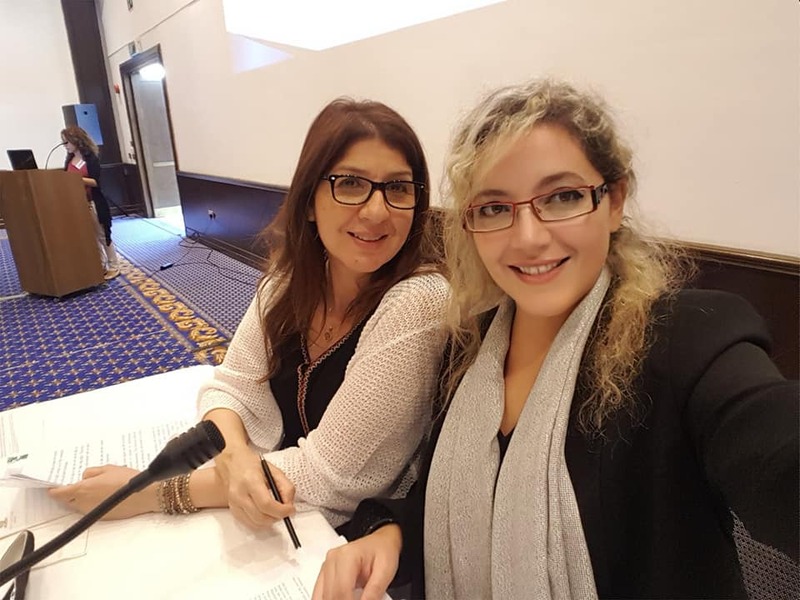 Once again, Dar al Kalima University College of Arts and Culture and CAFCAW have succeeded in challenging the intellect and establishing a dialogue between diverse identities and currents. The conference was successful by the wide range of speakers and by the attendees who contributed to the constructive debates. 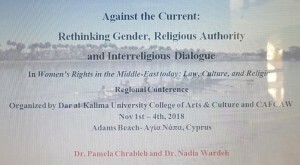 We finally presented excerpts of our paper Dr. Nadia Wardeh and I, entitled ‘Against the Current: Religious Authority, Gender and Interreligious Dialogue’. 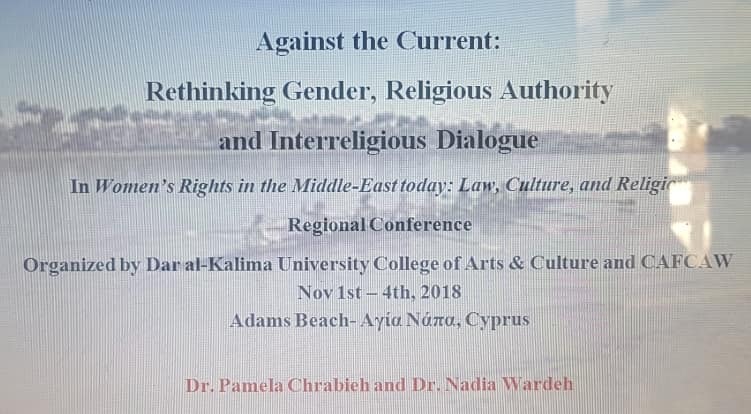 We argued that feminist and liberal thinking/doing interreligious dialogue is a marginalized reality in our region at the institutional level, and particularly when it comes to decision-making tables within and across religious sectarian borders. This is largely unsurprising in so far as the leadership of most religious communities continues to be predominantly male (and patriarchal). The way we see it, there is a need for a shift from complementarianism to egalitarianism, and especially the production and use of Christian and Islamic theologies of gender equality as pillars of thinking and doing interreligious dialogue. I wish I have attended the conference. How can we read about it? Good evening Solange! 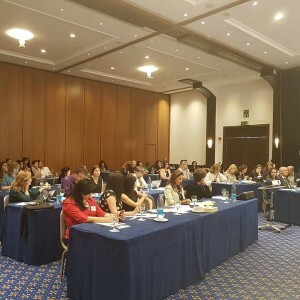 The conference papers will be published in summer 2019.